Known for its world-famous rainbow trout, Lake Edge Resort is located on Lake Taupo in beautiful New Zealand. While taking in the picturesque view of the Lake, your family and friends will also enjoy fishing, skiing, boating and walks through the nearby forest. When staying at the resort, make sure to check out the active volcanoes, wildlife sanctuaries throughout the island, and a variety of historical sights. 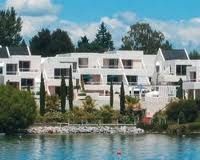 These Taupo timeshares for sale offer spacious two-bedroom units at Lake Edge Resort. These comfortable and well-appointed rooms will sleep from two to seven people and feature two and a half bathrooms. The kitchen is equipped with a stove, refrigerator, microwave and dishwasher along with utensils and food storage containers. For your convenience, units also offer a washer and dryer, easily making the space your new holiday home. Each timeshare provides two televisions, Wi-Fi, and some rooms feature a view of the lake. The bedrooms are located up a flight of stairs and may be difficult for people with mobility issues. The outdoor patio offers a place to BBQ and wonderful views of the area. On-site amenities include a heated outdoor swimming pool and heated indoor and outdoor spas. A game and arcade room are perfect for a round of billiards with the kids or meeting other families at the resort. A library and Internet Café also offer a chance to connect with friends and family back home and brag about the great time you are having at the resort. 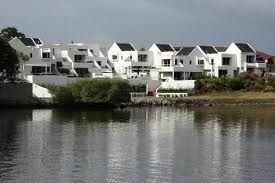 Reserve a bicycle, kayak or canoe and take advantage of the lake or travel into town for some shopping or sightseeing. Water-skiing and windsurfing are popular in the warmer months while guests also enjoy snow skiing down the amazing mountain slopes in the winter. 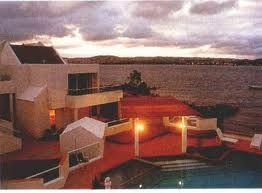 Whether you are traveling to New Zealand to enjoy the trout fishing or beautiful views, Taupo timeshares for sale can provide a variety of units at Lake Edge Resort. This amazing destination offers activities for groups of all ages and experiencing Lake Taupo’s geothermal pools is fun for the entire family. Get ready to relax and unwind while enjoying the modern conveniences and comfort of your timeshare accommodations with your family and friends. Contact Lake Edge Resort Specialist Today!